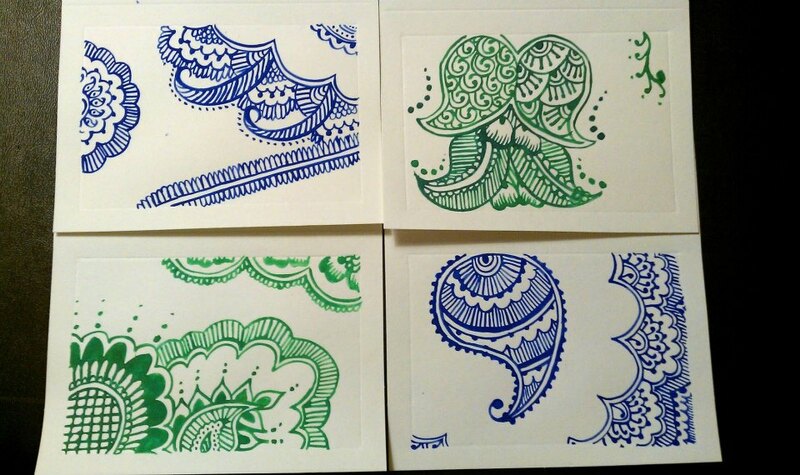 My latest crafty project idea hit me while I was driving one evening: Hand-painted stationery cards, inspired by henna designs. 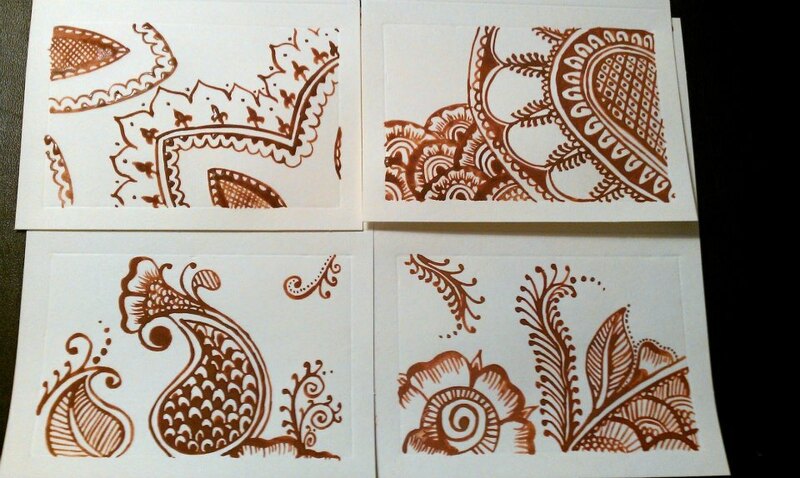 I love getting henna or “glitter tattoos” applied at some of our dance events, and I could easily picture making blank cards with henna designs. 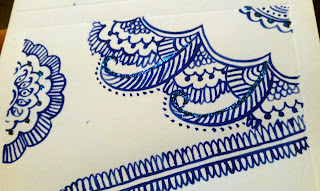 The second evening, I imagined the cards embellished with bits of glitter. 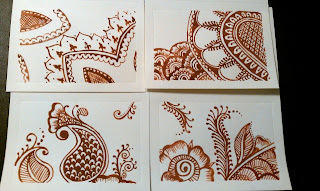 Then I imagined the cards painted in other colors besides brown (the color of henna designs on the skin). 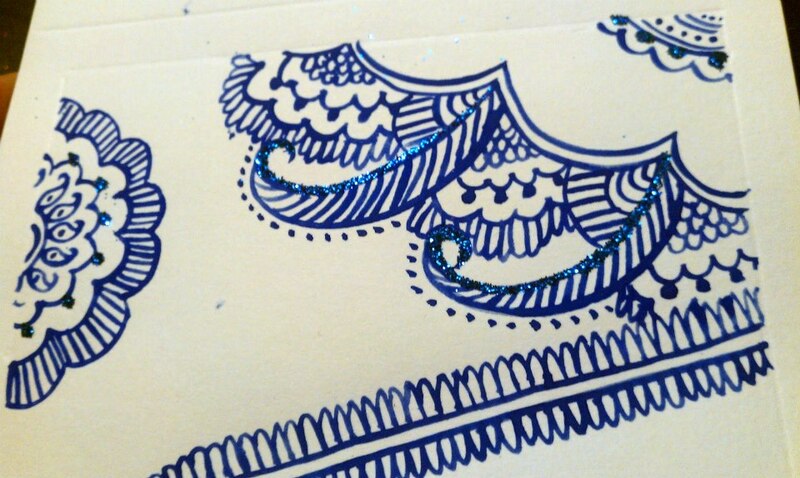 The glitter accents looked good on color, too. 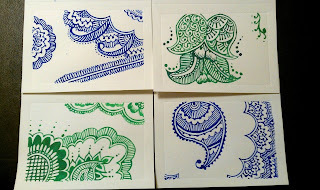 All in all, I created four sets of four cards each, one for my Mom, my sister, and for each of my nieces. 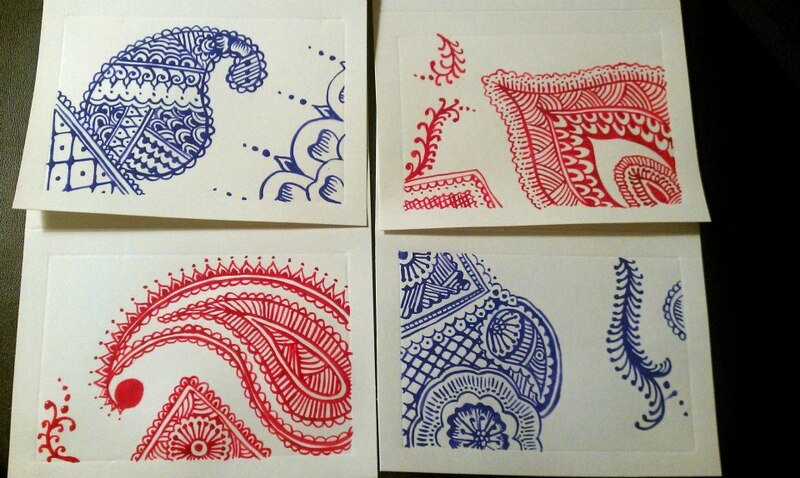 These have all been given away as gifts. 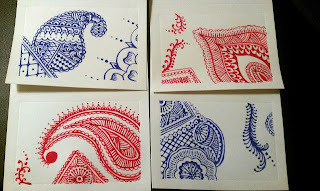 But I plan to offer similar sets of cards in the etsy store in 2013. 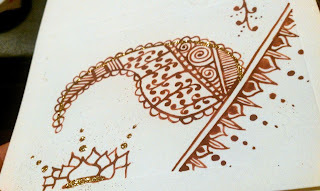 I hope you all had lovely holidays. 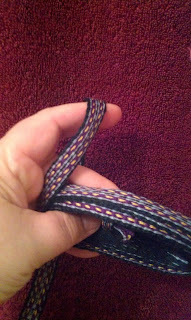 See you in the new year. I started weaving narrow-wares with Card-weaving. 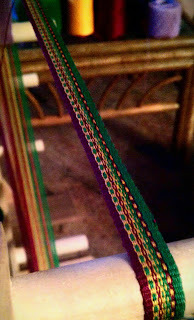 And my first addiction to card-weaving was the Rams’ Horn pattern. I could not get enough time on my loom… it made me SO happy. 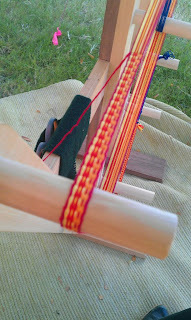 I finished several rams’ horn patterned pieces and even taught a 2-hour workshop on my weaving method (now affectionately called “Gypsy Eyeball”). 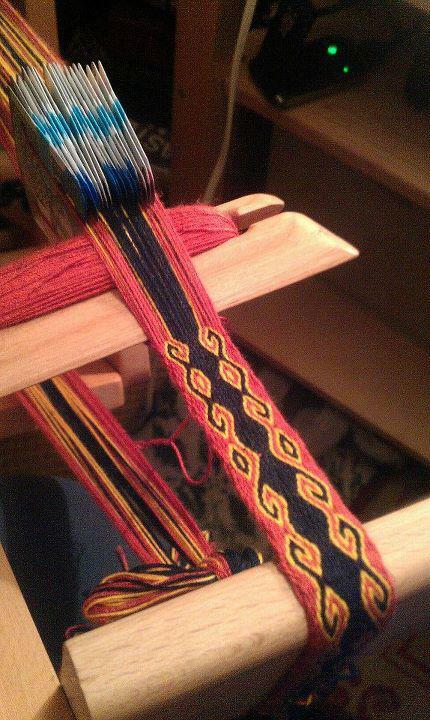 So my dear friend of mine has a trait similar to me: A love for sampling different craft skills, one after another. 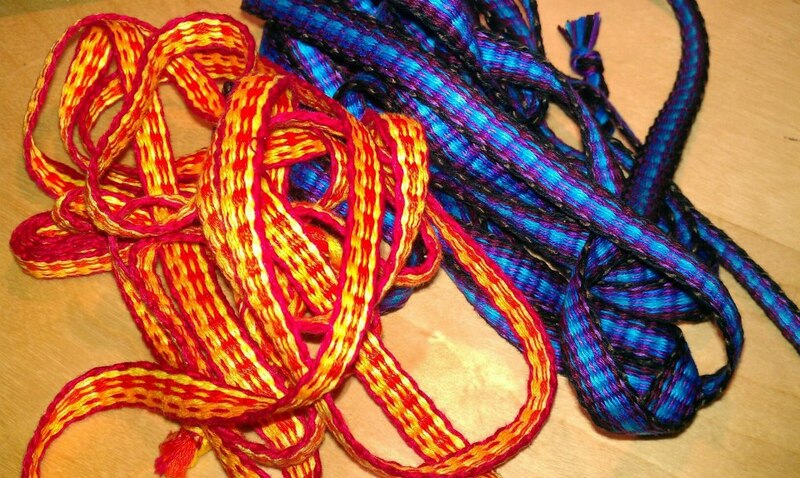 Not every craft we’ve put our hands to has become an addiction. 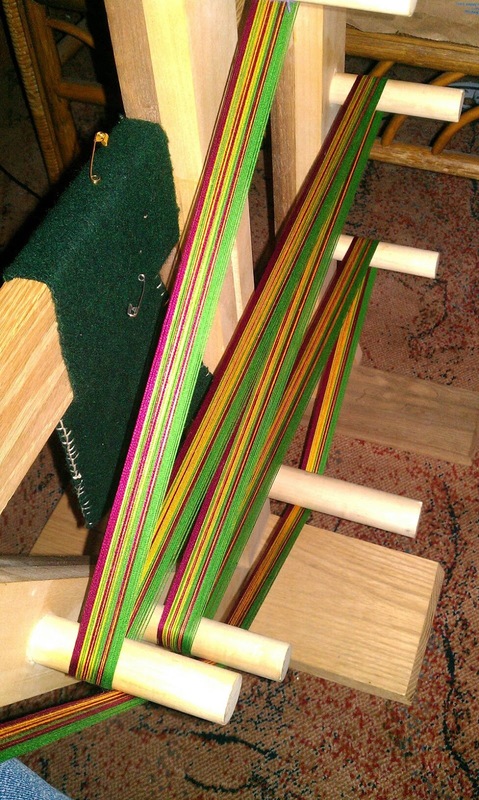 As she was experimenting with inkle looms and weaving, a friend of hers saw her weaving, went to her father who built and sold inkle looms, and procured a loom as a gift. 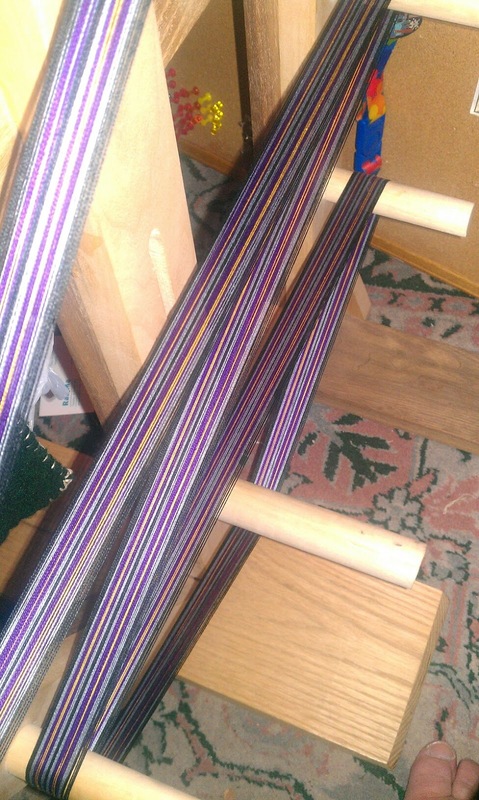 By this time, my friend had moved beyond weaving to some other craft skills, but of course, the loom was so beautiful, she happily accepted the gift. 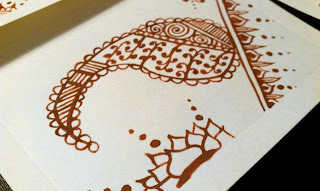 A very LARGE gift. A very large gift that sat gathering some measure of dust, waiting to be used. 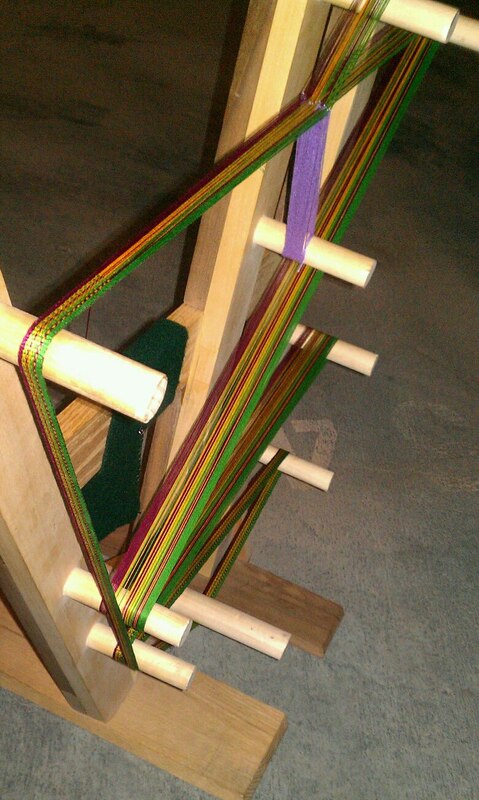 The first day I had the loom, I simply *HAD* to learn how to use it. I’d heard over the years that weaving simply Tabby-Weave bands and ribbons was MUCH easier and faster than card-weaving, but I’d never put my hand to it yet. 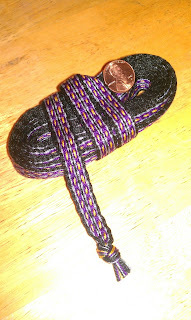 I’d also heard that you could create “continuous heddles” rather than hand-cutting and tying each heddle individually. So I made up a system, warped up my loom with random embroidery floss skeins, and set to weaving. 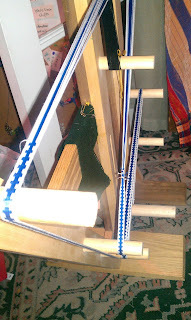 Having completely caught the bug for weaving on the inkle loom for fast, production weaving, two looms now live in my car and travel with me. 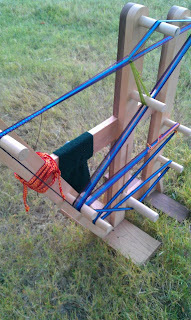 The card-weaving project still lives on my front seat, but I can fit this new *gigantor* loom in my back seat, too. Anywhere I go, I can weave. 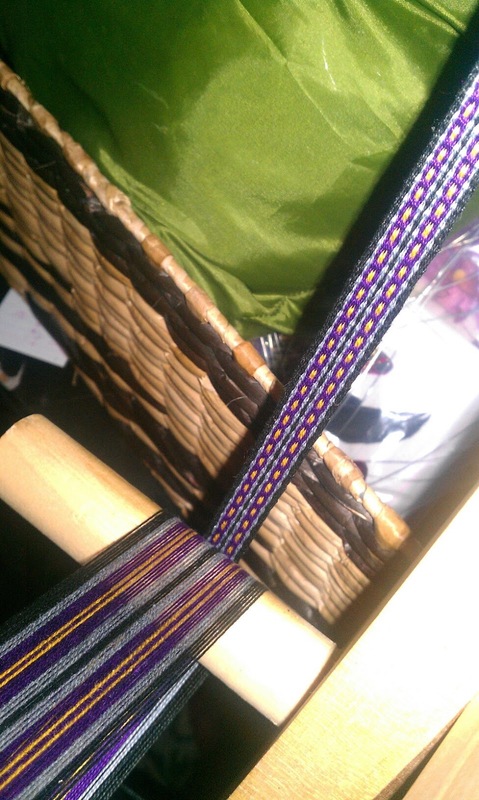 I’m preparing now for a post-Thanksgiving sales event, trying to weave as much product for my booth as possible. 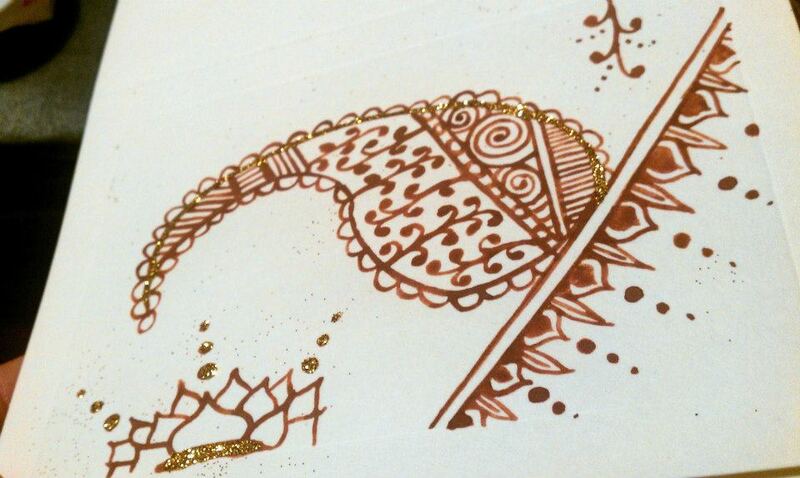 I’m also learning how to experiment with simple tabby patterns. 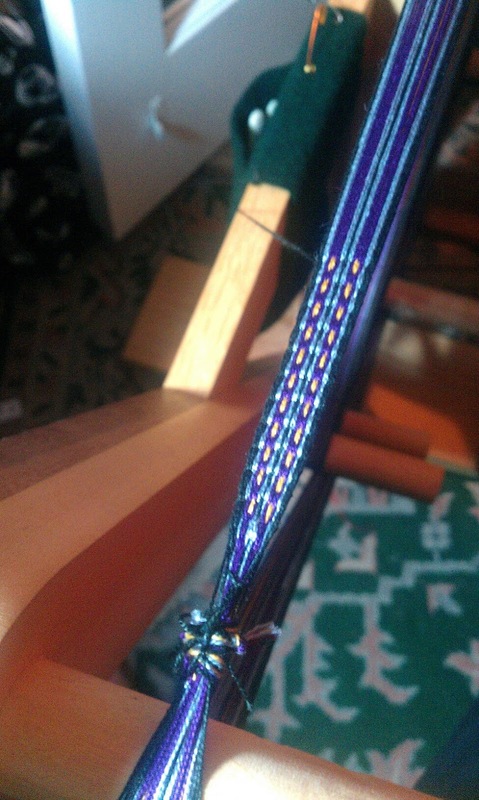 I’m not completely secure in planning the patterns on the fly, but I’m getting better with each piece. 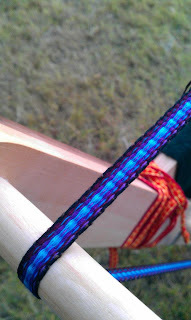 So, please enjoy the photos I’ve taken for the past week. I know I’m enjoying them. 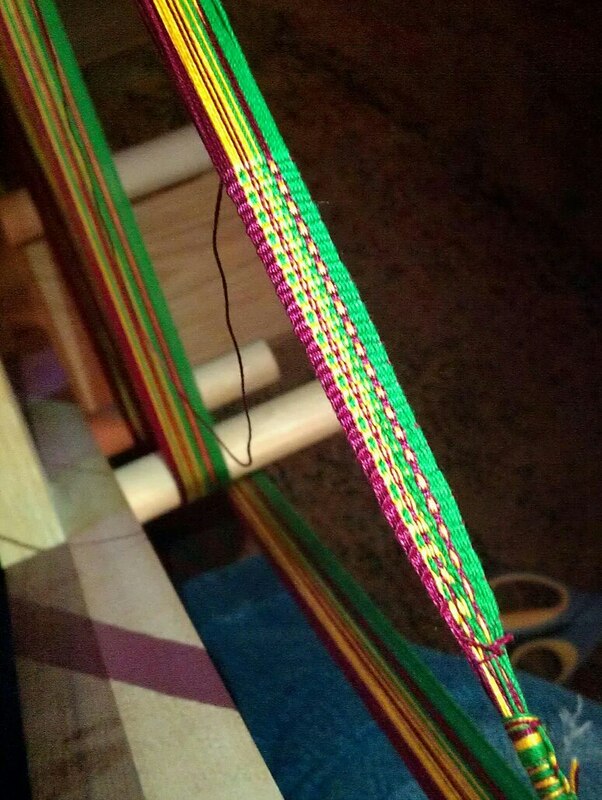 — weaving, and I can see the end in sight. 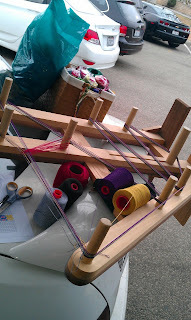 — arrive at work early, warp a loom on your trunk. — Dude! I can make things! From threads! 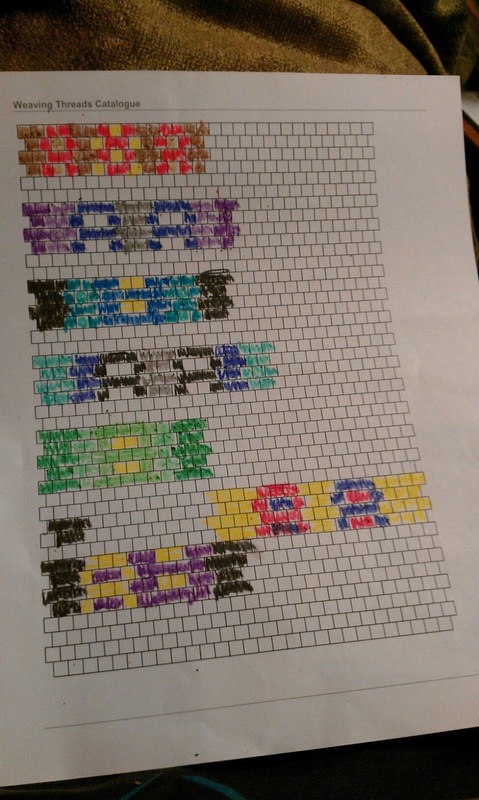 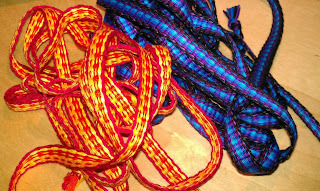 #crafty #weaving (11/18) — so, yes, I love weaving.